Justin explores new techniques and new materials. He created starfish in ceramics, wax resist artist cards for holidays, pumpkins drawn with markers, and animals and underwater scenes in pencil and paint. He is expanding his acrylic painting skills by practicing his mark making and color mixing, and his painting of an armadillo reflects his skills. 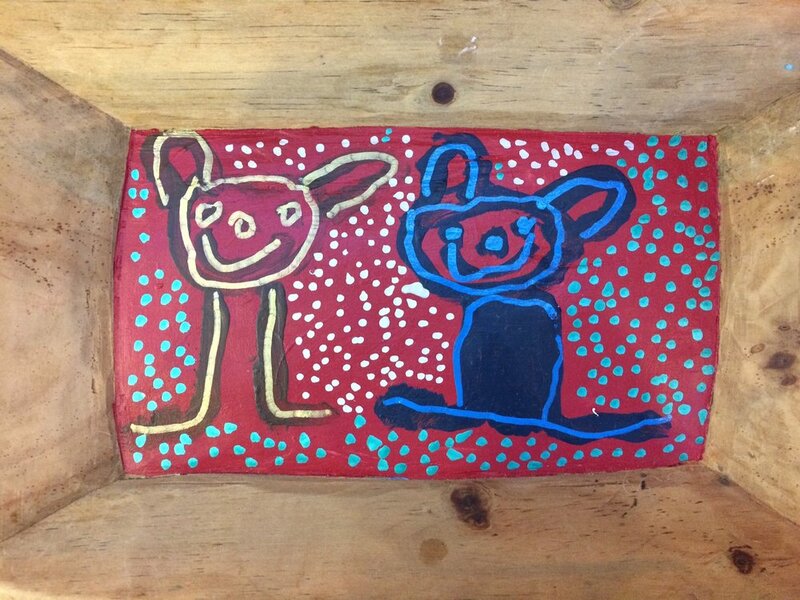 Justin’s paintings and a wooden plate of his painted rabbits can be found on display in the Good Folk Gallery. When not at Creative Clay, Justin’s interests include “music, games, Harry Potter and magazines,” he said.